Deepika Padukone's Stunning Photos Will Make You Want To Keep Looking At Her All Day! Deepika Padukone’s Stunning Photos Will Make You Want To Keep Looking At Her All Day! 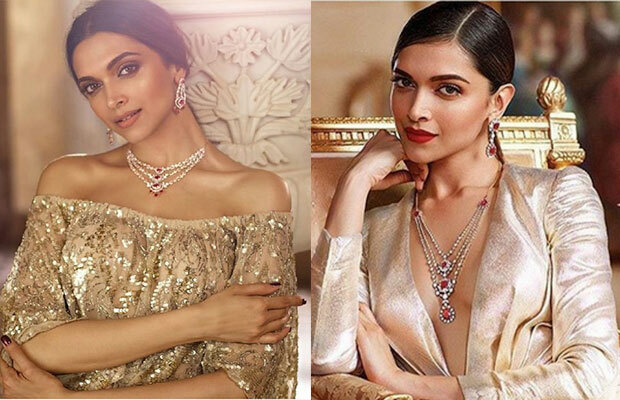 Deepika Padukone recently had a fabulous shoot for Tanishq, and we bet that you simply can’t take your eyes off her. Deepika looks mesmerising in the beautiful outfits designed by some of the most talented designers in the country. 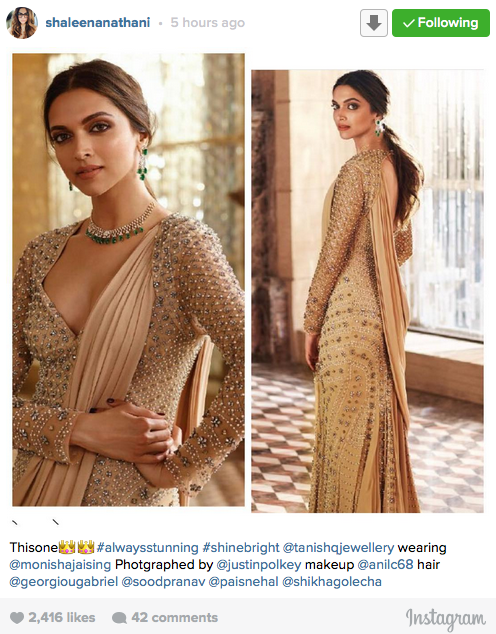 The photos, uploaded by Deepika’s personal stylist, Shaleena Nathani, scream nothing but pure beauty. The shoot, having a royal theme, make the reel life Mastani appear no less than a gorgeous queen. In this golden majestic creation of Jade by Monica and Karishma, Deepika looks no less than a regal beauty. The cuts accentuate her well-toned shoulders well, draping neatly over her frame. This picture is nothing less than a great example that the beauty can flaunt every colour on the wheel just as if it’s made for her! Deepika looks just like a dewy flower herself in this gorgeous lavender ensemble designed by Abu Jani and Sandeep Khosla. Deepika yet again stuns in this Falguni & Shane Peacock bustier gown. The outfit enhances her figure just right and we love how the beautiful Tanishq neck-piece accentuates her hot neck. Well we just can’t decide what has captivated us more! This golden, stone-embellished number by Monisha Jaisingh is as awe-inspiring as Deepy’s majestic looks. The easy going hairstyle balances well the oomph created by her deep neckline. This golden flowy Monisha Jaisingh ensemble reflects the actress’ royalty the best. 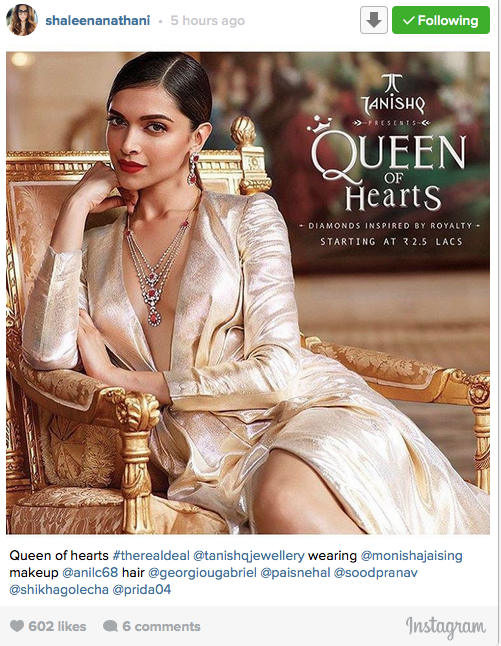 Deepika, a heart-reigning queen that she is, enhances her imperial charm sitting on her throne! Previous articlePhotos: So Here’s What Made Salman Khan, Shah Rukh Khan, Aryan Khan Go On A Cycle Ride! Next articleGauri Khan’s Reaction After Watching Ranbir-Aishwarya’s Ae Dil Hai Mushkil Teaser!